Pre-trained models are models that have been trained using available public dataset and was done on the basis of some research paper/finding. The essence of this article is to decide on which model is suitable for the task at hand which is classifying of image into ‘hotel’ and ‘not-hotel’. To solve this task, we will be using transfer learning which will save us time. And transfer learning is usually expressed through the use of pre-trained models. 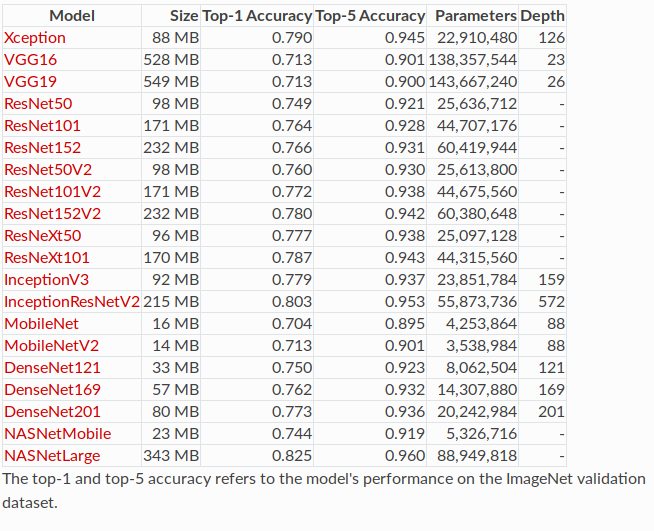 My suggestion is for my team to pick among “Xception or InceptionV3 model” since it has improved performance based on the statistics shown above.